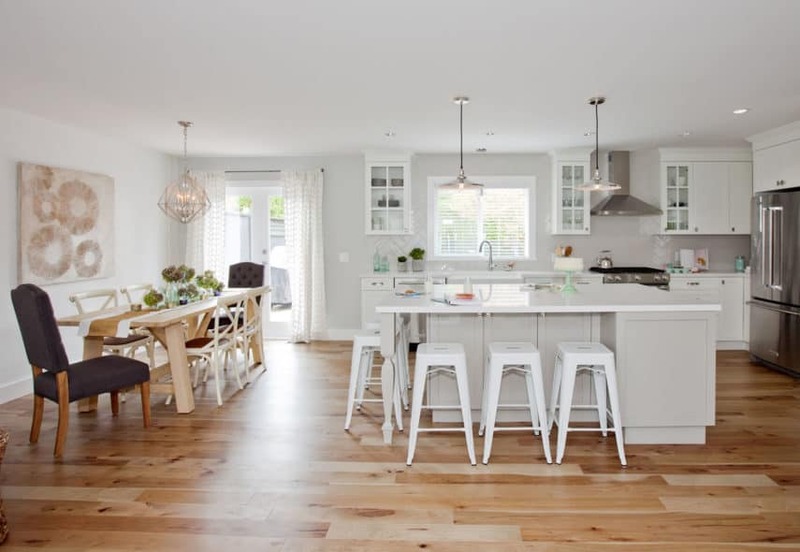 Lyanne & Chris | Love It or List It Galleries | Merit Kitchens Ltd.
Jillian’s challenge was that Lyanne & Chris’ home lacked the necessary square footage for a growing family of four. So, walls were removed, completely opening up the main living space to the kitchen and dining room, making the home feel more spacious. Snow white, Manor Painted MDF wall cabinets with French Country glass doors provide the illusion of depth and space, as well. Seating on two sides of the Haze gray island creates a multi-use area for socializing or working. Colour: Snow on the perimeter, Haze on the island.